The city of Dallas has been wrestling with the logistics on allowing mobile food trucks for the past two years. The maze of ordinance and restrictions on permitting street food has made it such an unweildy process that potential entrepreneurs have thrown their hands in the air and decided to simply give up the effort. Fortunately, two mobile trucks have begun operation, but others are still awaiting a grand stroke from City Hall that simply opens the doors for this profitable new business model. The Wall Street Journal has profiled food trucks that are now bringing in $400,000 a year, and people are flocking to food cart rows to try out this new model for high-end street food. This Sunday between noon and 5pm, Better Block originators are taking a block downtown and showing that it can be done. Our team is bringing in local favorites like Green House Truck, and City Grille, and called up an Austin favorite Chai’Lantro, alongside two others to show the potential for a true food cart row. 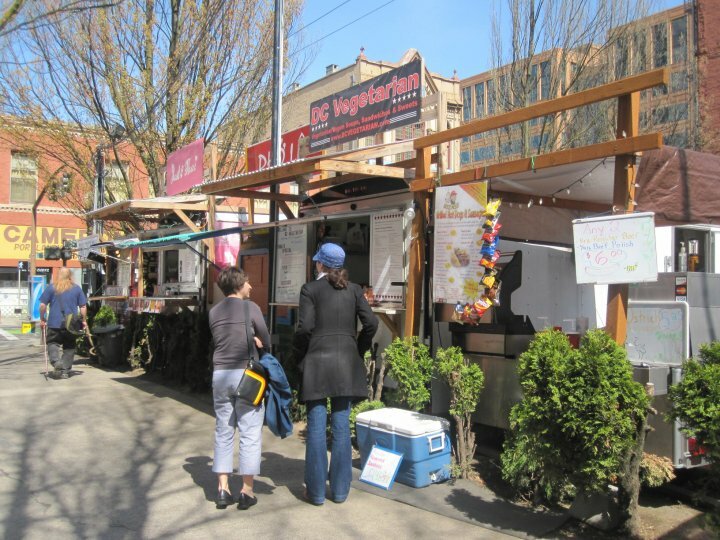 Alongside these businesses, we’ve taken the pop-up business model from our Better Blocks and applied it to the street by developing new small pop-up food businesses between the carts like Crepe Stands, Fresh Juice stands, and a Greek Food stand. These businesses were developed by working with the community and enabling young entrepreneurs to get a start and test the waters. In our current economic environment, the development and fostering of this “pop-up” business strategy gives new business owners a chance to see what works, what doesn’t work, and apply solutions with low investment risk. 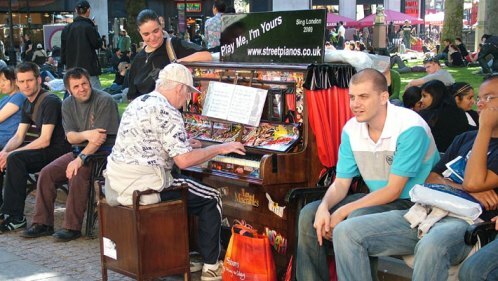 A final element to the block will be the dropping in of a “street piano”, inspired by London’s street piano project. Walk, bike, or take a trolley to Flora street between Olive and Pearl, Sunday, October 31st, between noon and 5pm to help us show the city how it can be done.